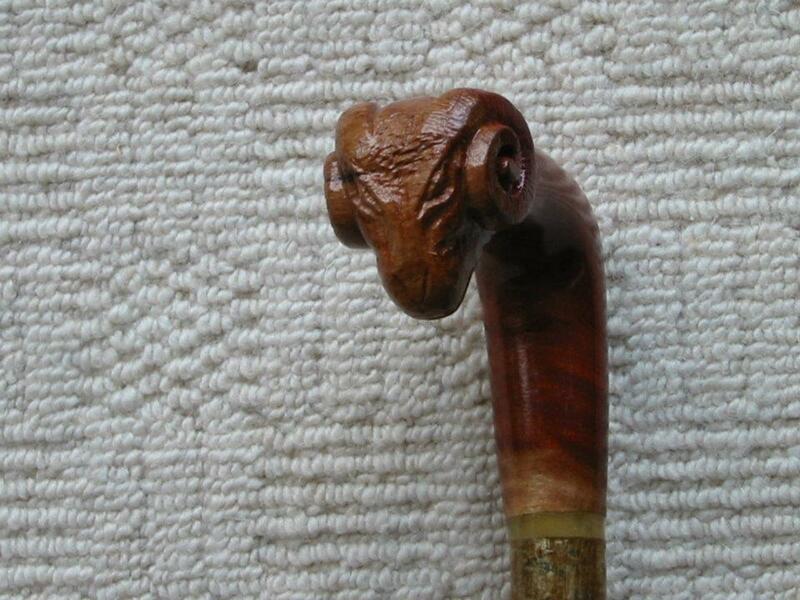 This Ram’s Head walking stick was fun to make. The wood is a dark red colour with good dark/light changes. The collar is made from horn and the stick shaft is hemlock.